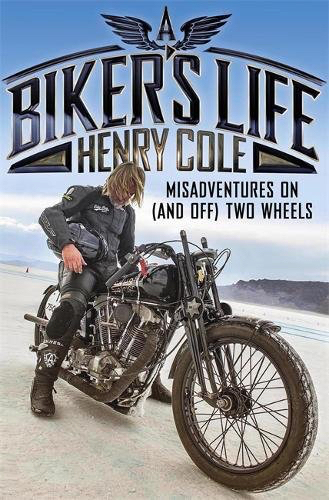 TV presenter, world land speed record holder and former heroin addict, Henry Cole talks to Ann Chadwick about his new memoir as he heads to Harrogate this week. Henry Cole has travelled a long way from Malton, where his father grew up on the edge of the Castle Howard estate, before he was posted to India during the dying age of the British Raj. “Yorkshire to me is God’s Own Country in a way – great motorcycling and my old man came from there.” His life has been a ‘rollercoaster ride’ – and that’s an understatement. He recalls all this in his hard-hitting memoir – A Biker’s Life: Misadventures on (and off) Two Wheels – which he will be discussing this week in Harrogate. It’s a searingly honest account.